Any self-respecting big game hunter owns—or should own—Dr. Kevin Robertson’s The Perfect Shot, for hunting African animals, and its sister volume, Craig Boddington’s The Perfect Shot North America. These two books have become invaluable for the traveling sportsman and sportswoman seeking to become familiar with shot placement, habits, and suitable firearm choices for hunting many of the most popular mammals throughout the two continents. 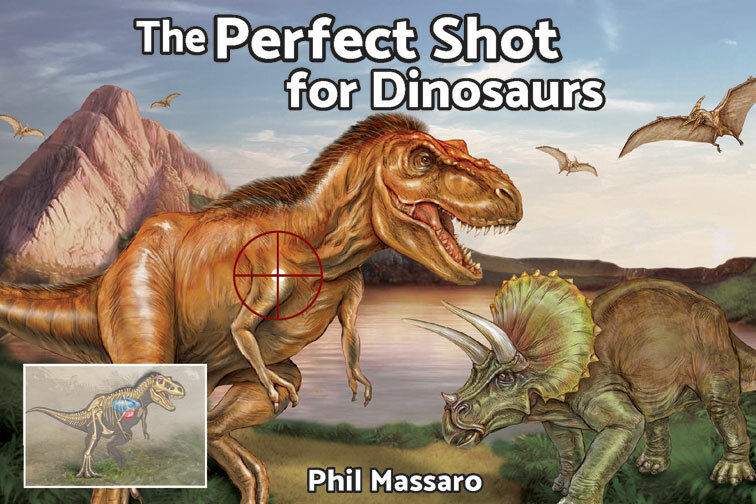 Safari Press has now teamed up with notable author and international big-game hunter Philip Massaro to bring you a volume on the ultimate hunting adventure: The Perfect Shot for Dinosaurs. Bored with the Big Five? Finding grizzly bears ho-hum? Let Massaro help you prepare for the ultimate big-game quarry: prehistoric dinosaurs that have survived to this day. The Perfect Shot for Dinosaurs covers twenty dinosaur species, their habits and physiology, hunting methods, and the proper choice of firearm for each hunting scenario, and, of course, there’s a ghost view that exposes the vitals for each. Massaro’s extensive pursuit of the varying dinosaur species has given him an insight into hunting these terrible lizards, and his experiences will aid you in your own pursuits. 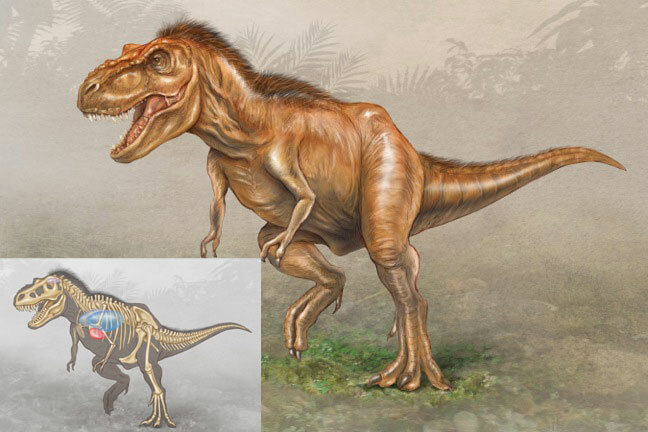 Renowned artist Laurie O’Keefe has provided detailed drawings, highlighting the vital organs and aiding the would-be dinosaur hunter by giving real-world information on shot placement. From the mighty Mosasaur and horrific Quetzalcoatlus to the more popular Stegosaurus, Triceratops, and, yes, even the Tyrannosaurus Rex, all are covered within the covers of The Perfect Shot for Dinosaurs. With a foreword and contributions from controversial dinosaur expert Jarrett M. Lane, The Perfect Shot for Dinosaurs debunks the K-T 66 extinction myth, and sheds light onto the actual biological workings of the various dinosaurs. Massaro draws upon his experiences as a ballistician and dinosaur hunter to recommend cartridge and bullet choices, as well as covering the gamut of dinosaur-worthy firearms. A must-have for any trophy room, hunting camp, den, or bathroom, The Perfect Shot for Dinosaurs is a tongue-in-cheek look at big-game hunting. And now that Donald Trump Jr. was seen on You Tube with a Stegosaurus he had killed on a recent African safari, this guide has become essential for your pursuit of the Dinosaur Grand Slam! Should you actually have the courage to take on one of these terrible lizards, this guide will not only become invaluable when embarking on the ultimate big-game hunt of a lifetime . . . it might just save your life! Be sure to get you copy so that you can make a clean kill on your next hunt! Submit your review for "The Perfect Shot for Dinosaurs (Sc)"